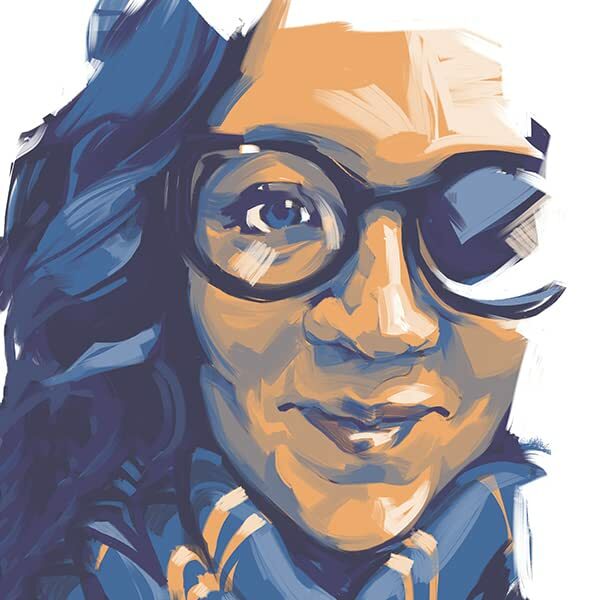 Erica Cotten is a User Experience Designer and comic book lettering professional. She earned a Bachelor's in Graphic Design in 2014 and has worked as a designer for companies such as Sports Illustrated and Salesforce. Additionally, she won a Silver Addy Award from the American Advertising Federation in 2014. She started lettering in 2017 and has fallen in love with the typographic expression that comics bring. When Erica isn't putting in the hours on some new lettering, website or logo, she spends time playing Overwatch, playing 'tug' with her terrier, Luna, or learning a new skill (most recently linocut relief printing!). Currently she is lettering a creator-owned comic by Robin Holstein called Stormwall. She can be reached at @ericacotten on Twitter or by email at hello@ericacotten.com.